The BDU Attack shirt is made from quality materials and designed to last for a lifetime, while keeping you looking sharp and professional. Closure Options: Choose from hidden six-button closure or six-snap closure. Smart Details: Left pocket has slots for pencil/pen and safety glasses. Featured Safety Panel: Safety panel front with Dacron interlining. Secure Pockets: Dacron interlined and button-down mitered pocket flaps. 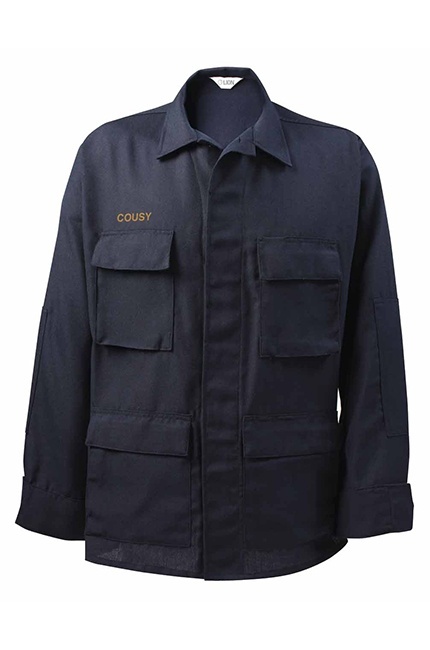 Certified Protection: Made from a Nomex® weave certified to meet NFPA 1975. Customization: Optional epaulets and badge holder.